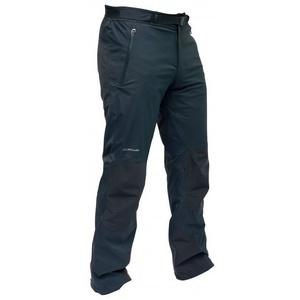 Men's ski pants with membrane Dermizax ®. With pants membrane protects against wind and chladu.Kalhoty have taped seams, detachable suspenders, step wedge for greater freedom of movement. 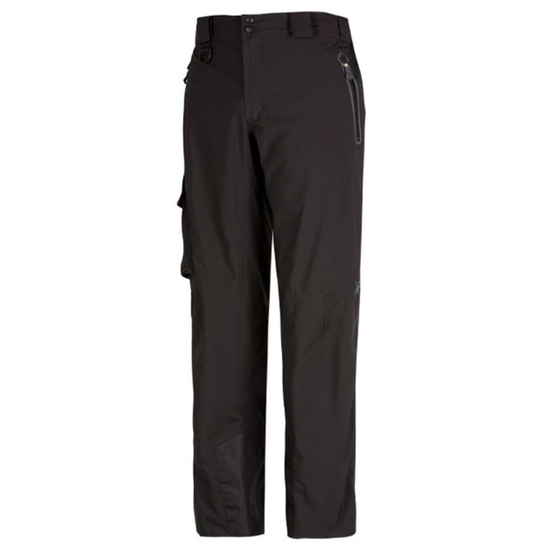 Bonded seams provide waterproof pants in these different places prone clothing. Removable braces are attached to the pants with belt loops fastened with Velcro. The waist is elastic with adjustable using stahovaček. Under the right front strap D-ring used to hang the gloves. Pocket are welded and taped shut with a zipper garage. Waterproof zippers are YKK brand. In the right front pocket is inside a small stretch pocket for coins. Pouch pocket with zipper switches, which covers the foot Velcro closure. Pants have articulated knees. The lower part of leg is reinforced cordura based material that protects against abrasion. Pants are at the bottom leg opening, which makes putting on ski boots. Pants have snow cuff on the legs, belt loops to connect jacket with Stefan.